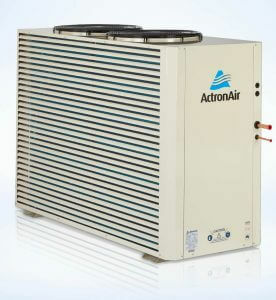 Actron Air Classic is a tried and tested reliable ducted air conditioning system. Because the Actron Air Classic ducted air system will heat or cool any home or office very effectively. Most noteworthy the Actron Classic ducted air conditioning system has sizes ranging from 9kw right up to a massive 25kw. The size range can air condition a small townhouse up to a large commercial office. Key Differences of a Actron Air Classic Ducted Air Conditioning system. Vertical discharge: The Actron Classic is one of the few units on the market that is a top discharge machine. This enables the outdoor unit to discharge the hot air produced into the atmosphere. Therefore makes the machine work more effectively. Louvred Grille: The Classic is wrapped in a powder coated metal guard. Allowing better airflow and circulation around the outdoor unit. Because of the stylish powder coated louvred guard, it protects the outdoor unit from Australia’s harsh weather conditions. Coated Coil Protection : Classic Actron Air coils are coated in a blue fin epoxy resign both indoor and outdoor. This coating helps with reducing corrosion in Australia’s harsh weather conditions . Energy Efficient Fan : Used within the Classic Actron Air conditioning systems is a high efficient fan that delivers smooth operation with quiet starting and stopping. In addition there are many features that can be designed within your Actron classic ducted air conditioning system. A feature of any Actron air system is zoning. Due to a large number of homes and offices in Perth growing in size. It is not always practicable or possible to the air condition the complete space within your home or office. Introduce the Actron Air classic zone control system. It will smoothly and effectively air condition the parts of the building requiring air conditioning. The classic zone controller will turn on or off zones as required. When you are not at your home or office. 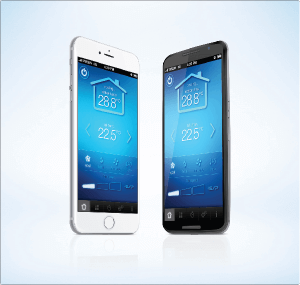 You can still control your ducted air conditioning system with the simple add on feature called the Actron Connect. This is a smart wireless feature which will allow you to control your system from anywhere in the world providing you have internet access. Finally For more information or an obligation free quote give us a call. Or send us an email with your house plans for an obligation free quote.